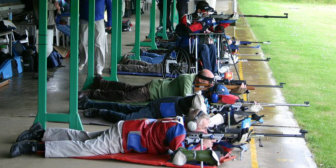 This site offers target shooting associations the opportunity to run their self-scoring leagues without the need to ask clubs to send in scores and targets every round. Club captains can enter any leagues hosted on this site, enter scores for each round, and check results – simply and quickly. Used to cambridgeshireshooting.com? Then use the same login details on this site. New features and functions that are added to this site will be listed here along with any other important notices. Some Mac users may experience issues using Firefox as their browser when entering data onto this site. Please use either Chrome or Safari instead, where possible. Thanks. You will find help on every page where help may be needed. Help can also be found in the green Help menu above. A Help for Club Officials page will help you get started. You can always Contact the webmaster for help! Simply click on any of the League Organisations listed on the left and their current league results and upcoming leagues will be listed in the blue panel below. You can clink on any links to view results. Click on ‘Upcoming Leagues’ links to enter leagues. If the competition is not ‘Open’ you will need to contact the association organising it by using their Contact page if you wish to enter. Want to run your leagues on our site? If you are new to using our online league system you will find information on how it works in the Help menu above. 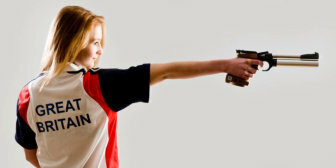 If you wish to run your leagues on our site just click on the Contact link in the Rifle & Pistol Leagues Info menu. We’d love to have you join us!